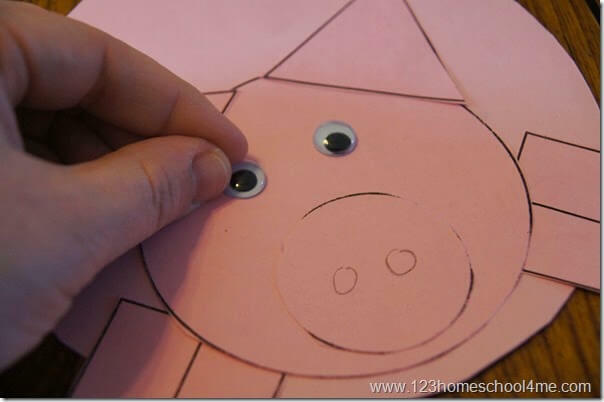 This is such a cute, easy to make paper pig craft for kids. 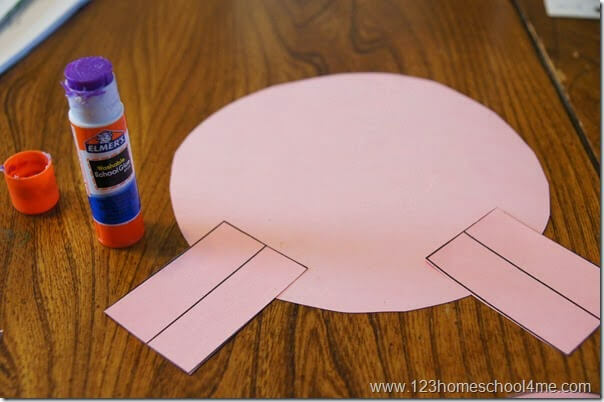 Toddler, Preschool, and Kindergarten age kids will love making this craft as part of a farm unit. This is also a great craft for Sunday School Lessons on how Jesus Drove out Evil Spirits. This is such a cute, simple craft for kids from Toddler, Preschool, Kindergarten to 1st grade, 2nd grade, 3rd grade and more. You can use this for a preschool farm unit, for book study on If you Give a Pig a Pancake, or as a craft for Jesus Driving out Evil Spirits for Sunday School Lessons. You will need to print one page on pink cardstock per child. Now cut out the circle, triangle, and rectangle shapes. Note: You can print out a plain page or one with the Sunday School Lesson information on it. 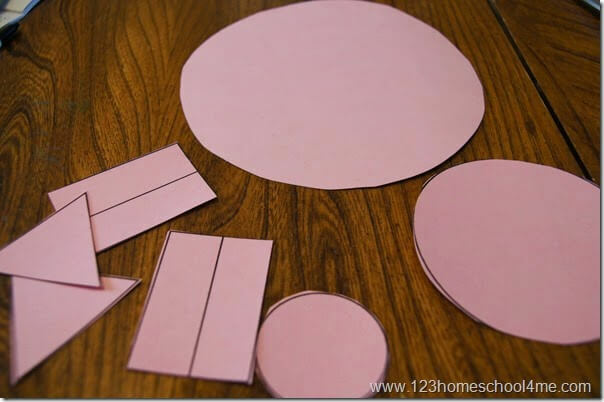 Now glue the shapes onto the large circle to create a pig. To begin glue on the two rectangle doubles on the bottom. Now glue the medium size circle towards the bottom of the circle followed by the smallest circle that represents a snout. 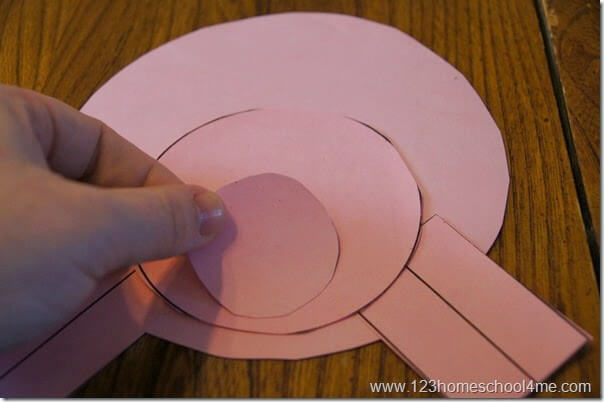 Now glue the triangle ears on the top of the medium circle to make the pig’s ears. Finally attach google eyes. 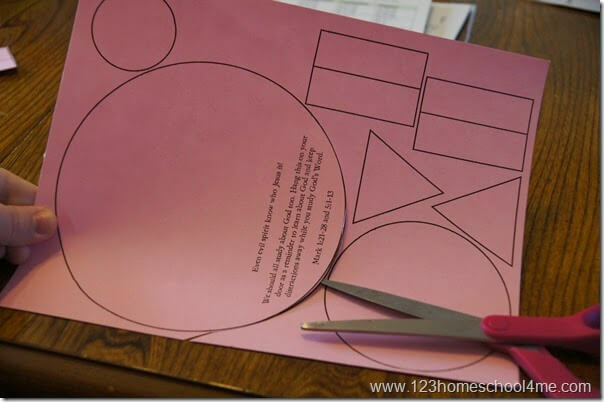 Now use a hole punch to make a hole through the top of the large circle. 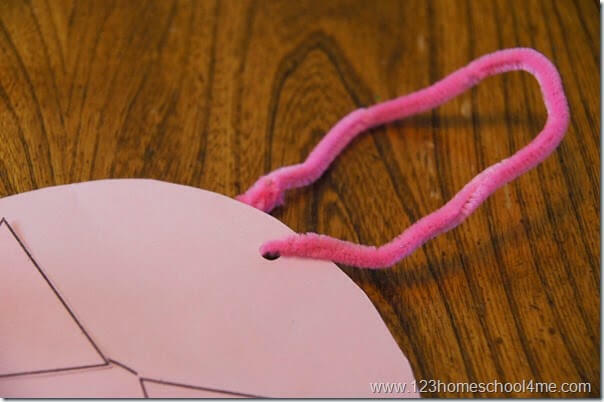 Insert a pink pipe cleaner through the hole and twist together the ends to make loop so you can hang the pig. We used this craft for our Sunday School Lesson talking about how Jesus drove out evil spirits from Mark 1:21-28 and Mark 5:1-13. You will need one printed page, 2 google eyes, and 1 pink pipe cleaner per student plus access to scissors and glue. Even evil spirits know who Jesus is! We should all study about God too. 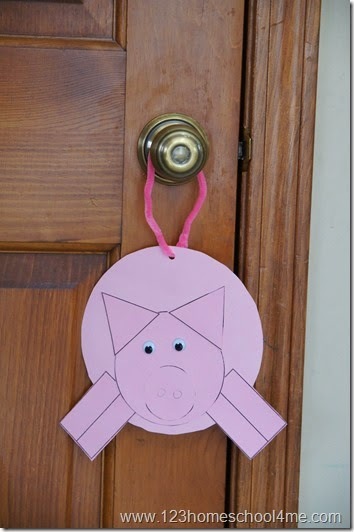 We made a pig that the kids could hang on their door as a reminder to read the Bible and keep distractions away while they learn about God. This is for personal or personal classroom use – to share with others, please refer them to this post for them to download their own copy.